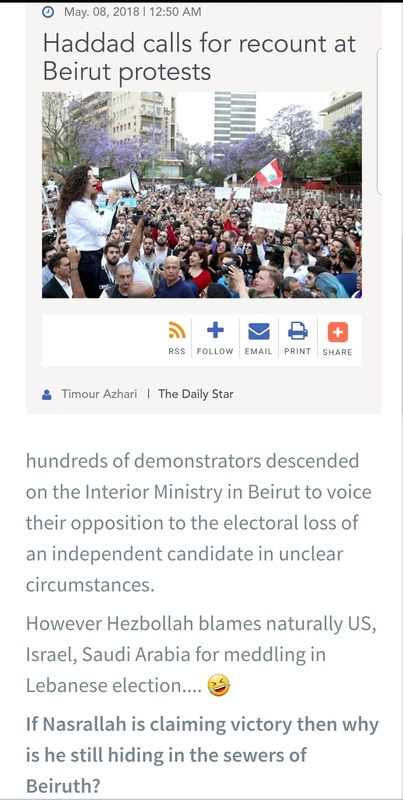 An attack on an independent Lebanese Shiite candidate running on an anti-Hezbollah platform in the May 6 general elections has exposed the rifts among Lebanese Shiites and the movement’s strongarm tactics. But will it affect the upcoming polls? On Sunday afternoon, Mohamed al-Amin was in Beirut when he got a text message from a relative saying his father had been attacked in their ancestral village of Shaqra in southern Lebanon. The 28-year-old tech industry worker immediately called his mother in Shaqra, but she had no idea what he was talking about. “My mother hadn’t heard anything about the incident although she was there in the village,” said Mohamed in a phone interview with FRANCE 24. It wasn’t long before Mohamed got the confirmation he was seeking. “About 30 minutes later, I saw that some TV stations were running news flashes that a candidate was under attack,” he explained. His father, Ali al-Amin, is a Shiite journalist and director of the news website “Al Janoubia” – or “The South” in Arabic. A well-known critic of the Shiite movement Hezbollah, Amin is running as an independent candidate in Lebanon’s South III voting district in next month’s general elections. Under Lebanon’s confessional system — a colonial-era relic that divides power between the country’s religious communities — parliamentary seat distribution is based on the religious composition of the electorate in voting districts. The Shiite-dominated South III district, for instance, has 11 seats in the 128-member Lebanese parliament, of which eight are allocated for Shiite Muslims. The district has been a longtime stronghold of Hezbollah and its fellow Shiite ally, the Amal movement. It’s a stranglehold on power that critics say Hezbollah is determined to maintain through fair means and foul, including a campaign of slander and intimidation against its opponents. Exactly two weeks before the elections, Amin’s family and supporters say Hezbollah has finally followed up on its threats. The volunteers quickly returned to the office and informed Amin that a “bunch of guys from the village told them not to put up any images”, according to Mohamed. Campaign posters are an omnipresent feature of Lebanese elections with cities and towns plastered with giant billboards of candidates competing for attention. But the independent Shiite candidate didn’t want his volunteers harmed, and so, Amin decided to go out alone and put up the posters. “He was exercising his right, his freedom of expression,” stressed Mohamed. That’s when a group of young men approached Amin, demanding that he take down the poster. When he refused, they started beating him. In a video posted on his Facebook account shortly after the incident, Amin said he was attacked by a group of “30 Hezbollah thugs”. Displaying his injuries, Amin said his attackers had broken his tooth and beaten him up “using all sorts of things”. The injured journalist-candidate was later taken to a local hospital where he was treated for his injuries and released the next morning. “He has pressed charges against eight known persons involved in the criminal act. He will be following this in court,” said Mohamed. Hezbollah has denied involvement in the attack and a party source told a Lebanese TV station that the movement “condemns resorting to violence” during the election campaign. Few outside Hezbollah’s support circles, however, believe the movement’s denial and none of them — including Amin’s family members — say they were surprised by the incident. “For someone who has been not only following the situation in Lebanon, but mainly the Shia situation, it doesn’t surprise me at all,” said Lokman Slim, a Lebanese publisher, commentator and prominent activist. A Shiite and outspoken Hezbollah critic, Slim believes there was a message behind Sunday’s incident. “The targeting of Ali Amin [sic] goes beyond the persona of Ali Amin. It concerns all those who are not only daring to run against Hezbollah, but are trying to debunk Hezbollah’s hegemony,” said Slim. Founded in the mid-1980s as a movement to galvanise the country’s disenfranchised Shia community in the aftermath of the 1982 Israeli invasion in Lebanon, Hezbollah has played an increasing role in Lebanese politics for over two decades. Since 1992, the Shiite political party has participated in every Lebanese parliamentary and municipal elections, and from 2005, in all governments. While Hezbollah was allowed to keep its arms under the 1989 Taif agreement, which ended the deadly Lebanese civil war, its political wing has adjusted its policies and strategies with the changing times. In 2005, following the assassination of former Lebanese Prime Minister Rafik Hariri, Hezbollah was on the defensive after a UN appointed Special Tribunal for Lebanon indicted four Hezbollah members for the assassination. The four are currently on trial in absentia as the tribunal drags into its second decade. Hariri’s murder sparked a mass protest movement, dubbed the Cedar Revolution, with thousands of Lebanese taking to the streets demanding the withdrawal of Syrian troops from Lebanon and an end to Syrian involvement in Lebanese politics. But as the tiny, multi-religious nation heads to the polls for its first general elections in nine years, Syria is once again playing a role, albeit inadvertently, in Lebanese politics. Over the past few years, Hezbollah has been deeply involved in the Syrian civil war, backing Syrian President Bashar al-Assad. Some experts believe the Shiite movement’s electoral audacity has escalated with the Damascus regime’s growing fortunes. 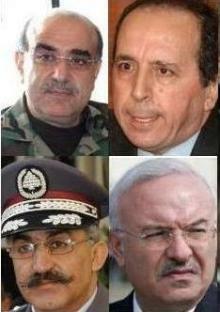 Generals Raymond Azar (bottom R) , Jamil Sayyed (top R) , Ali al-Hajj (bottom L) , and Mustafa Hamdan (top L) detained from 2005 to 2009 on suspicion of involvement in former PM Rafik Hariri’s murder. In April 2009, the Special Tribunal for Lebanon (STL ) ordered their release without charges due to insufficient evidence. STL prosecutor made it clear at the time they were set free that their release did not mean they are Innocent and that once more evidence is available they could be back in jail. Earlier this year, when Hezbollah chief Hassan Nasrallah announced the group’s candidates, many Lebanese were appalled to see Jamil Al Sayyed, the country’s controversial former spy chief, included in the list. Sayyed, the former head of Lebanon’s General Security Directorate, was arrested in 2005 for his alleged role in Hariri’s assassination. He was released four years later without any charges filed against him. A powerful figure, Sayyed was described as “not a man you would chose to argue with”, by veteran British journalist Robert Fisk. The fact that Hezbollah had chosen Sayyed as one of its candidates was widely taken as a sign that the Shiite movement was going into the 2018 race in a confident state. The pressure though is particularly intense within the Shiite community, which constitutes an estimated 27 percent of the Lebanese population, according to a 2012 study. Hezbollah has long played a giant symbolic and political role among Lebanon’s Shiites, a popularity that rests on the movement’s heroic resistance against the Israeli occupation, and its exceptional mobilisation capacity, which enables it to reach out to the community across class, educational and regional divides. In the absence of opinion polls, the movement’s popularity figures in Lebanon are hard to pinpoint. But Hezbollah has long been considered the uncontested voice of the country’s Shiites. Critics within the community, however, claim the group maintains its power by crushing dissent. Independent Shiite candidates who have stood for previous elections say the two main Shiite parties, Hezbollah and Amal, waged a systematic campaign of intimidation against them. “The bullying starts with intimidation during campaigning, attacks against our delegates monitoring the vote-counting, threats and allegations. We are accused of being against the resistance, that we are puppets of the [Saudi royal] al-Saud family, soon we will be Israeli-Zionists,” explained Riad al-Asaad, who ran against Hezbollah in the 2005 and 2009 parliamentary elections, and is currently running for a seat in the South II district. Anti-Hezbollah activists decry what Slim calls “the Shiite malaise” that compels many community members to refrain from criticising the movement that has empowered Lebanon’s historically marginalised Shiites. “There’s a big fear of losing what they have gained through Hezbollah and Amal, and we don’t want to be engaged in a new civil war and lose what we have gained,” explained Slim. Issal Saleh — a Beirut-based retired engineer who hails from Amin’s village, Shaqra — notes that many of his fellow Shiites do not approve of Hezbollah’s involvement in the Syrian civil war. “Little by little, they understand that Hezbollah is completely involved in Syria, but not in a way that’s good for Lebanon,” he said. Despite this understanding, Saleh explained that many Shiites are still reluctant to oppose Hezbollah. “In my family for instance, two-thirds are with Hezbollah. It does not mean that they like them. But when you speak against Hezbollah, they will always say you’re right, but Hezbollah defends the Shiites. It is true that the war in Syria has changed many of their minds. But that does not mean they will vote against Hezbollah — especially since there’s a growing confrontation between Sunnis and Shia in the region,” said Saleh, referring to the acrimonious power struggle between Sunni Saudi Arabia and Shiite Iran. 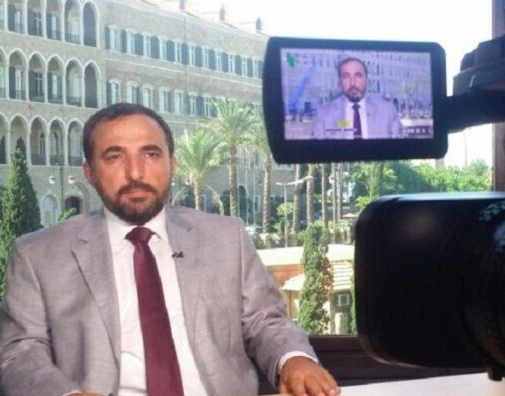 Despite the widespread media coverage of the recent attack against Amin, Slim does not believe it will change voting behaviour in the May 6 elections. Hezbollah is not however getting Saleh’s vote. “I am from Shaqra and I will vote for Ali Amin,” explained the 70-year-old former engineer. “I’m a Shiite who was born against Hezbollah and I will die against Hezbollah.” But Saleh admits that the Hezbollah-supporting members of his extended family are not likely to vote against the powerful Shiite group. Despite a change in Lebanon’s electoral law, the upcoming polls are widely expected to lead to a new parliament with the same old balance of power between the major parties contesting along confessionals lines. ‘Lebanon’s unique brand of sectarian-driven, power-sharing politics mean rival factions often end up in the same government, as is the case now where Hezbollah is represented in Hariri’s cabinet.’ Who lost 1/3 of Saudi Arabia supported seats. It appears that Lebanon will be going backwards and securing its position as a Iranian province. Not much hope for the future unless you are a funeral director because they have certainly dug their grave of completely being a failed state. I still have Joumana’s book my favorite modern poet, can’t understand she entered politics. Definition of hypocritical: Israel threatens to “eliminate” Assad if Iranian forces attack Israel from Syria, but drops bombs on Syria day and night.